Cute Owl Bedding Sets and Duvet Covers for Owl Lovers! Gorgeous Owl Theme Bedding Sets and Duvet Covers! I love owls! They are unique and special animals and they are said to bring wisdom… All I know is that people are very attracted to owl stuff! I am always looking for cute and fun owl theme stuff for myself and today I decided to display here my top favorite owl print bedding sets and owl duvet covers! They are absolutely gorgeous! 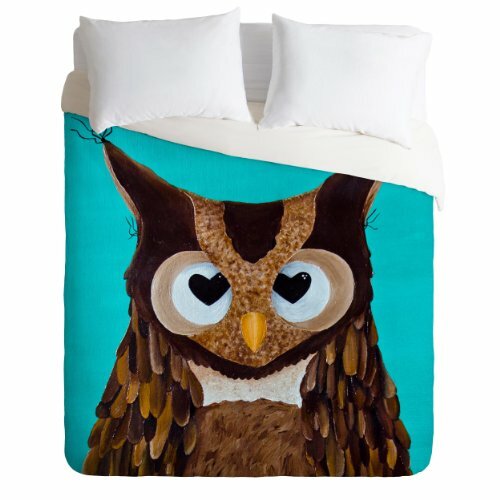 *This cute owl duvet cover in the picture is absolutely gorgeous! I love how HUGE this owl is! This cute owl in nature print duvet cover has got to be the most adorable owl picture duvet covers ever created! She is absolutely adorable!! You can see she is enjoying the sun on a tree branch in the forest! *This is also a king size owl duvet cover, but you can choose it in queen or twin sizes as well. Just make sure you customize the picture to fit the entire area of the duvet. All you have to do is pick the size you want, click on customize and then click on FILL, to fit the image properly. 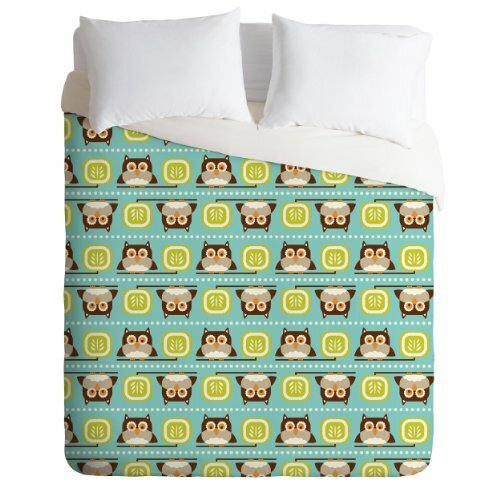 This is one of the cutest and most adorable owl duvet covers out there! It’s a cute owl close up picture duvet cover! 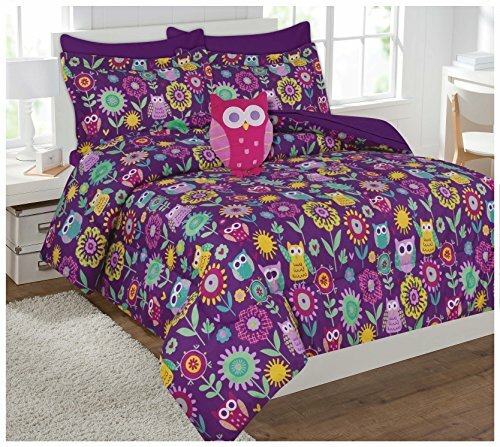 Adorable Fun Purple Groovy Owls Comforter Set for Girls! 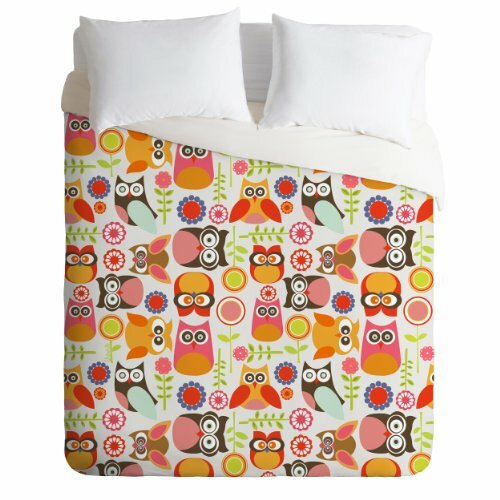 What a cute, fun and ultra-colorful ‘groovy’ owls comforter set! Look at all the cute and colorful owls all over it! I love the vibrant colors and the purple background! Very happy! *You can get it in twin or full size and YES, the adorable pink owl shaped pillow is also included! Yay! Sweet Owls Quilt Set for Kids! This is a very cute and sweet twin size owl quilt set for kids! Lovely colors and lovely owls! The cute owl pillow sham and the matching dust ruffle are included! The owl print is on both sides and each side has a different color that you can change to your favorite colors if you want! 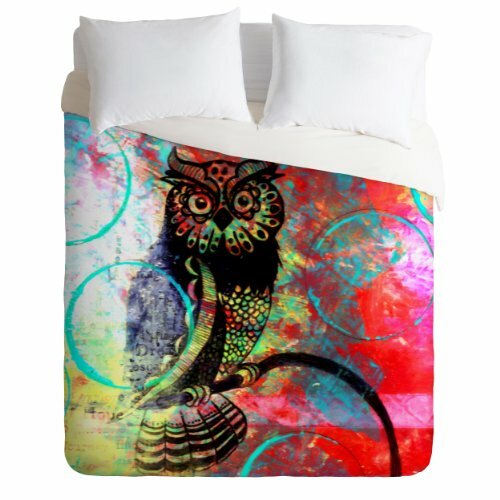 What a Gorgeous Colorful Owls Duvet Cover! What a stunning owls duvet cover for sale! It’s available in three sizes: twin, queen and king! Great gift idea for one very lucky owl lover in your family! More cute and colorful owls! All over this beautiful and fun duvet cover! 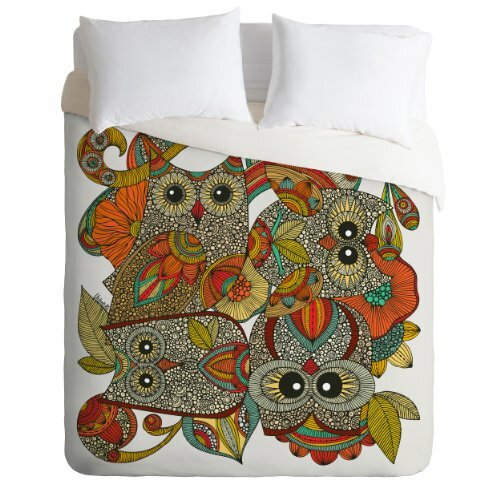 Amazing Owl Design Duvet Cover! How gorgeous and impressive is this owl duvet cover? One buyer said it is the softest duvet cover she’s ever had! I love the colorful and funky background! Gosh, I just can’t get over all these cute owls! I could go on and on forever! I wish I could have one of each! Every night I would sleep with different owls!